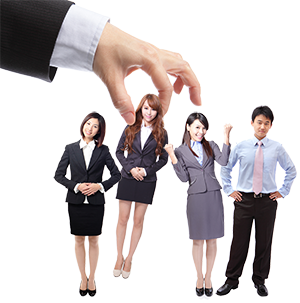 According to the North Carolina Works Commission, a major reason why many companies recruitment efforts are failing is because they still depend on strategies from a time when qualified candidates were plentiful. These failing strategies include posting on job boards like Monster and Indeed. Publishing employment ads in local newspapers; and pleading on social media pages. Yes, some small business owners are still using help-wanted signs. 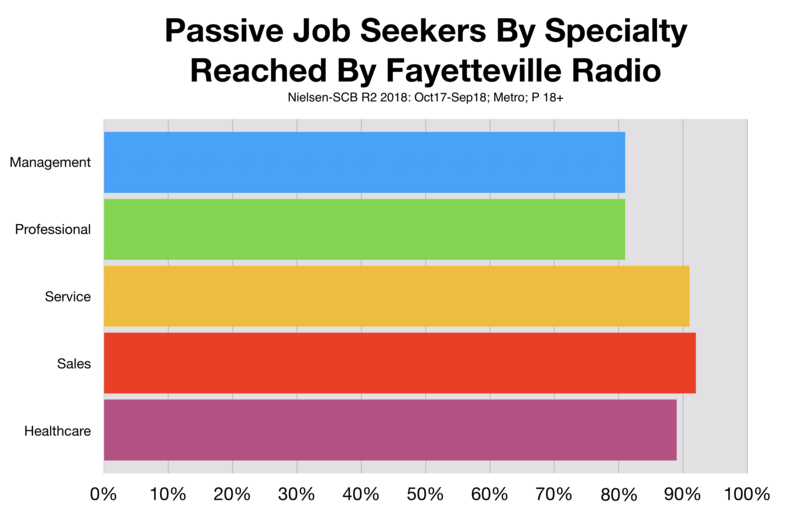 To overcome the challenges of the current labor crunch, Fayetteville small business owners need to consider using tactics that appeal to 'passive' job seekers. These are qualified candidates who are already employed but not currently in the market for a new job. In other words, the best way to hire qualified job candidates is to steal employees from other companies. Recruitment advertising on Fayetteville radio is the most potent way to do this. 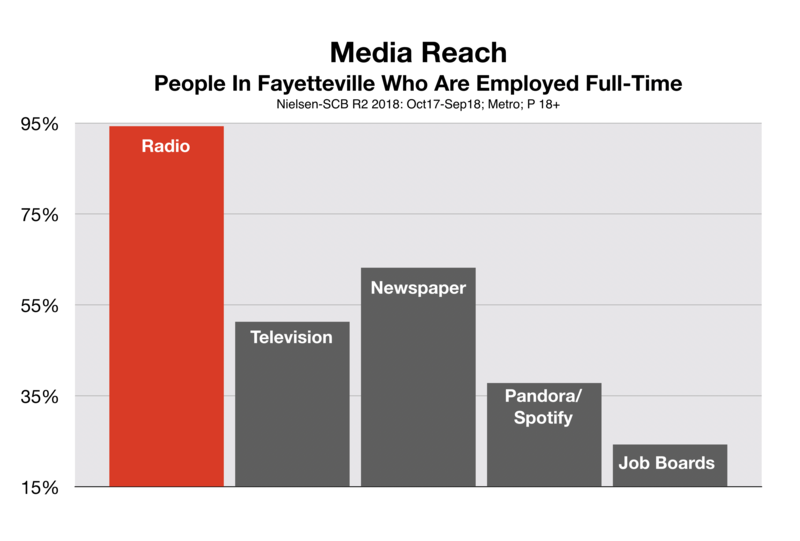 According to Nielsen, Fayetteville radio reaches 94.1% of everyone who is employed full-time. This is significantly higher than TV and newspaper's reach. It is higher than streaming audio sites like Pandora and Spotify. And internet job boards severely trails all other media. 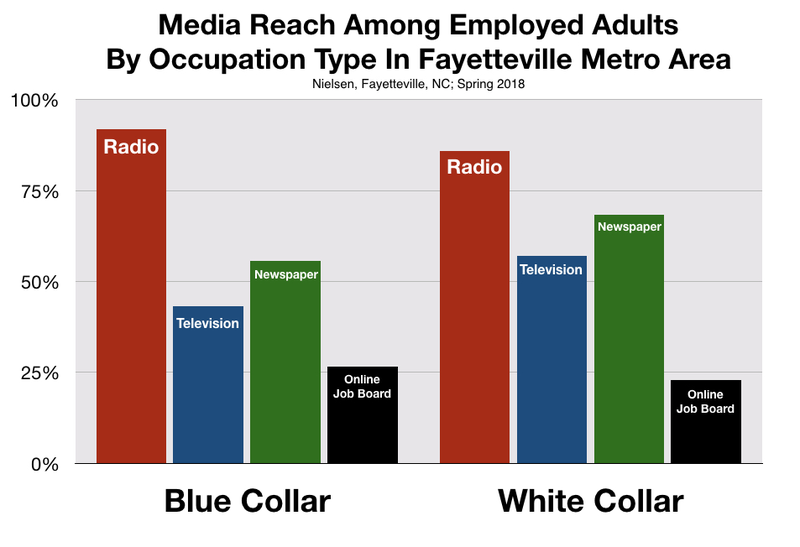 Regardless of what type of small business is looking, recruitment advertising on Fayetteville radio provides local employers with the most effective way to reach passive job seekers among both qualified blue-collar and white-collar workers. Nothing else comes close. 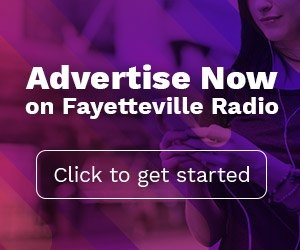 Furthermore, recruitment advertising on Fayetteville radio can reach qualified candidates for any job type. Carolyn Barbour can testify to how well recruitment ads on Fayetteville deliver. “To keep up with our growth,” says Ms. Barbour, “we need to add new plumbers.” So, recently, the company began to add recruitment ads into our mix of commercials. The results were immediate. That’s how jobs are filled.